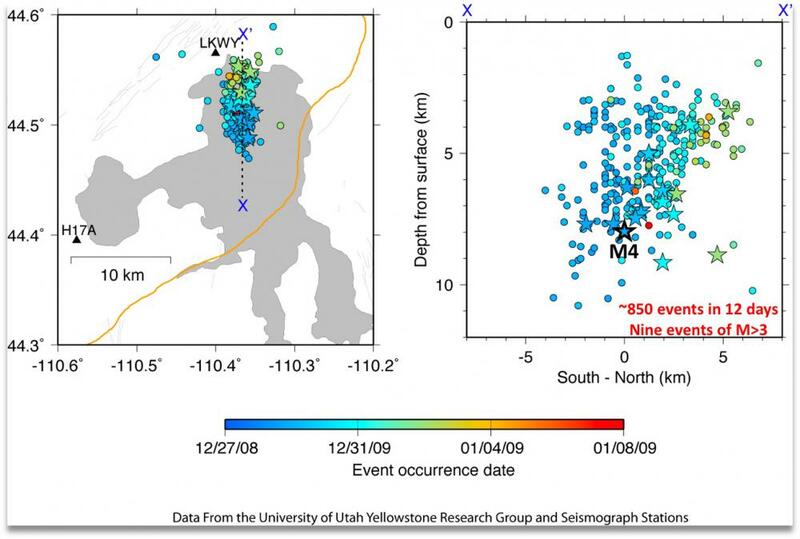 EarthScope seismic, strain and GPS data are currently aiding scientists in interpreting the ongoing earthquake swarm under Yellowstone National Park that began on December 27, 2008 and ended in early January, 2009. 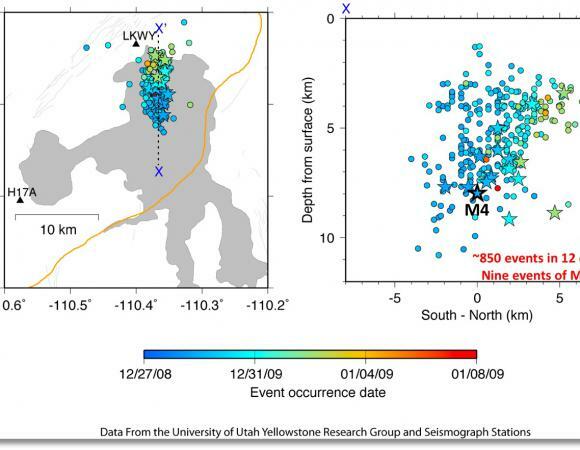 There have been 820 small to moderate earthquakes recorded in the Yellowstone Lake Earthquake Swarm, with the largest measuring magnitude 3.9 on Sunday, December 28, 2008. Thousands of earthquakes per year are normal occurrences within the park, but the number of earthquakes detected in this recent swarm is well above average. Scientists are carefully studying the seismic and GPS data to evaluate the cause of this swarm that appears to have been related to hydrothermal and tectonic processes. Bob Smith, a Professor of Geophysics at the University of Utah and Coordinating Scientist with the Yellowstone Volcano Observatory, noted in a recent interview that broadband data collected from Plate Boundary Observatory (PBO) and USArray instruments offer scientists more specific information about the earthquakes, such as the size, depth, and ground motion. PBO instruments are capable of capturing data within seven milliseconds of an event, so research can begin quickly. Smith and colleagues are currently integrating earthquake data from the University of Utah Yellowstone seismic array with that of the USArray and GPS, strainmeter, and seismic data from the PBO into their research to get time varying motions and GPS vector changes. As part of the EarthScope Plate Boundary Observatory Project, UNAVCO has installed 24 Global Positioning Systems, five borehole strainmeters, six borehole seismometers, and six tiltmeters in and around Yellowstone National Park. EarthScope instrumentation installed in the park, especially GPS and high rate seismic and strainmeter instruments, ensured the swarm was well recorded. 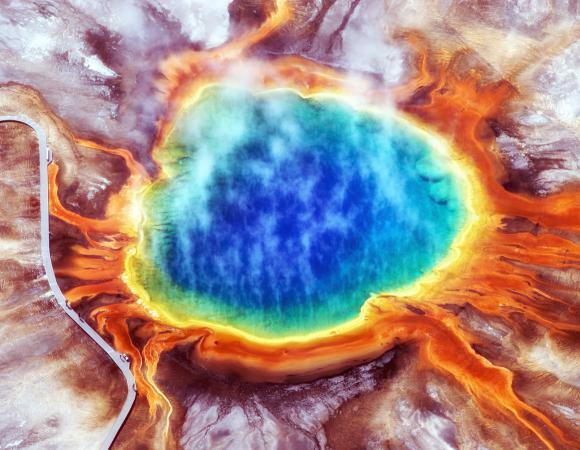 The National Science Foundation EarthScope investment in infrastructure in Yellowstone National Park will greatly improve the ability of the science and hazards communities to interpret contemporary deformation in this highly active volcanic caldera. 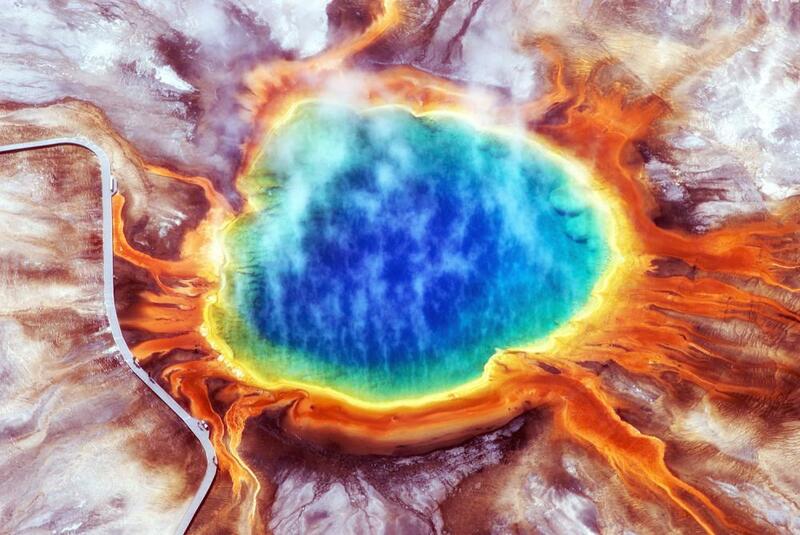 The University of Utah is a partner with the U.S. Geological Survey and the National Park Service and operates the Yellowstone Volcano Observatory seismic and GPS array.